A Kansas City mother is fighting to get custody of her son back after she says a Chicago hospital accused her of medical child abuse. 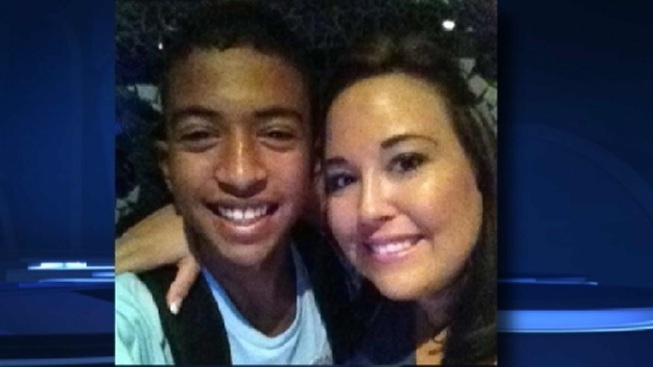 Michelle Rider took her 16-year-old son, Isaiah, to Lurie Children's hospital after doctors in her hometown, Texas and Boston were unable to effectively treat his neurofibromatosis -- a painful condition that causes tumors to grow on his nerves. When Isaiah's pain continued at Lurie, his mother sought to have him transferred to another hospital. But Lurie officials -- citing Michelle Rider's requests for stronger medications -- told a Cook County Court that it was best that Isaiah be taken into temporary protective custody. They said the boy's symptoms appeared to improve when his mother was not around. "You just feel like ... I think I was in shock. It was like a nightmare that wasn't happening. How can they take my son? I don't understand how someone can do this. It's been heartbreaking," Rider said. "They took extreme measures to keep Isaiah there, they removed me from the situation, they took my parental rights away." Rider's aunt, Carol Hart, and supporters from her Kansas City church drove to Chicago Wednesday in hopes of raising awareness about the case. "They are trying to say it only happened in her presence, so how could it start in the operating room and continue under anesthesia and after she was kicked out and they still say she is causing the problems?" Hart said. A hearing in the case was scheduled for Wednesday but was postponed until next week. "We were hoping that justice would be ... that he would come home," Rider said. Hospital officials say they cannot comment on the case because of privacy concerns. Michelle Rider has not been charged with any wrongdoing. Her son remains in foster care.